I have it on good authority Dr. Todd White is the President and founder of the Brewing and Distilling center in Knoxville and is also a professor at South College. He teaches people to be brewers and distillers. The student’s goals are to learn how to brew beer for employment and possible to become a distiller. Record keeping: Carol Mohney read the prayer, Bert West led the pledge, we had one guest Cindy Dodson and the announcement was made we are starting Grid Pick back and our new member Josh will be heading it up, Thank you Josh! 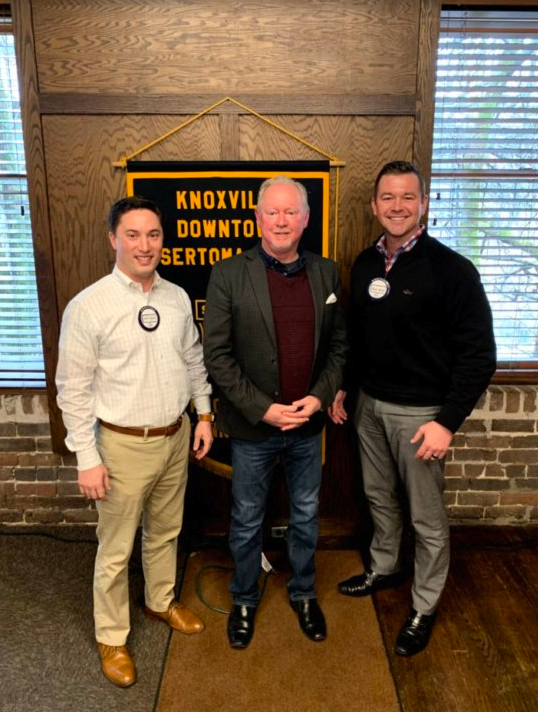 The Knoxville Downtown SErtoma Club appreciates your spirit! I also understand Beverly Farrell is undergoing cancer surgery. Please keep her in your prayers.